The London Proper is a fun and unique gin cocktail that is quite a delight. 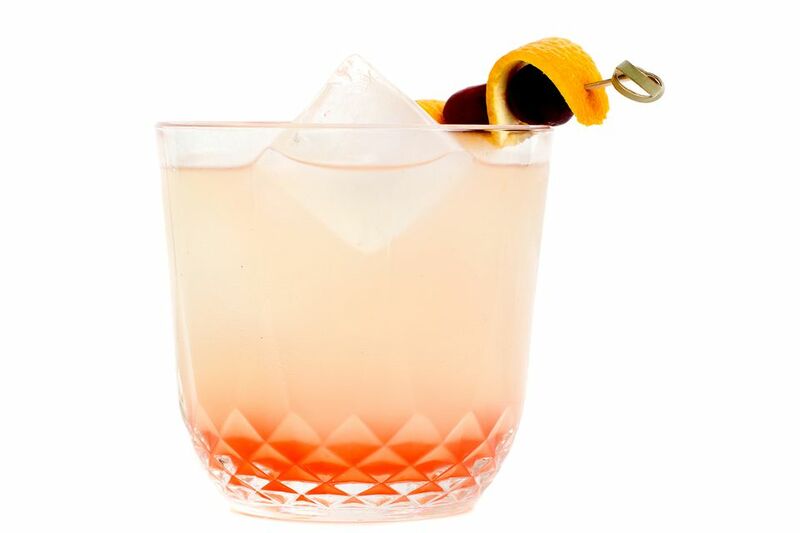 If you love the juniper-heavy gins, then you are going to enjoy this drink. This recipe does not shy away from juniper, which is a nice change from the recent trend of producing gins that can barely be called gins because they opt to downplay this essential ingredient that defines the spirit. For the London Proper we celebrate that piney flavor that is juniper's signature and it begins with choosing a juniper-forward London dry gin such as Tanqueray or Beefeater. The next juniper element comes from DRY Juniper Berry soda, one of the latest releases from the company that specializes in unique sparkling beverages. It is a crisp soda that is great on its own and the perfect companion for a quality gin. Cranberries are the last defining ingredient in the drink and you will want to use fresh berries. This will probably limit the drink to autumn when cranberries are harvested, though its crisp, refreshing taste is worth the annual wait. The recipe was developed by Lacey Murillo of the 1886 Bar, The Raymond in Pasadena, CA. Muddle two cranberries in a cocktail shaker. Add other ingredients (except soda) and ice. Garnish with two cranberries and an orange twist on a skewer.